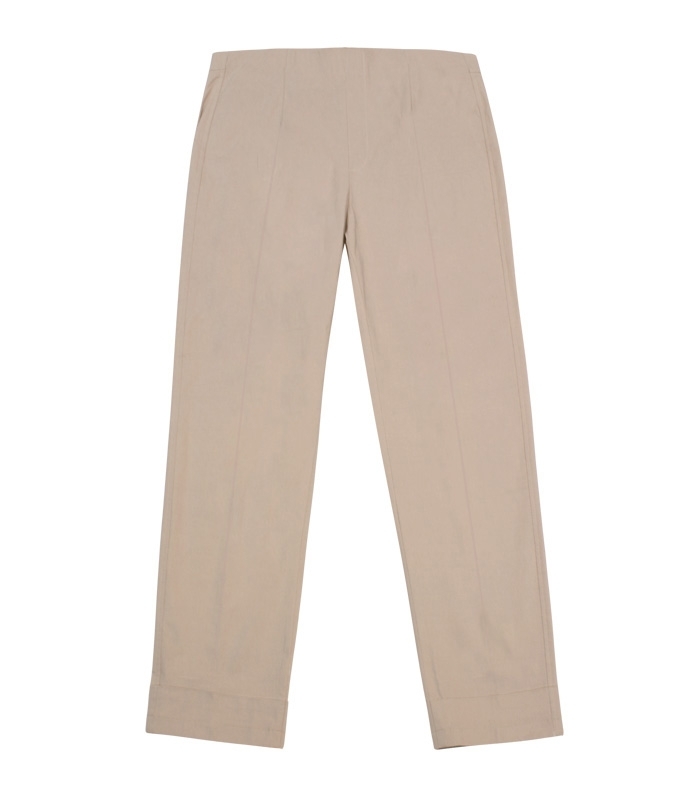 Our pull-on, elasticised waist Gabardine trousers give a comfortable fit and an elegant look. These trousers are a cropped fit with a turned up hem and are a shorter verison of our Straight Leg Trousers. Ideal for the summer months, they are made of a lightweight fabric. The supple, stretchy material combined with our carefully crafted waistband ensures you are always effortlessly stylish and comfortable. They truly go with anything and elevate every top paired with them!